The Liquid Image 5.5 watt dive light is the perfect accessory for scuba masks, wrist mounts, or for attaching to other equipment. 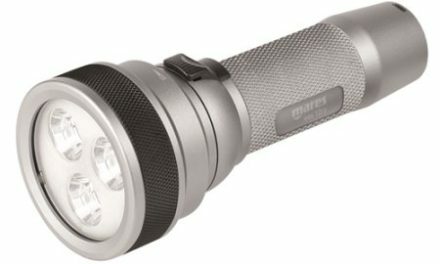 The 330 lumen torch is the perfect light for illuminating short distances in front of you, and can be attached to GoPro type cameras and later model Liquid Image gear without much work. 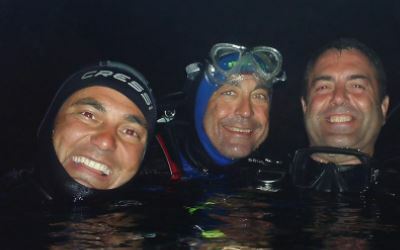 The 330 lumen output and 60-degree beam make for the perfect underwater camera lighting setup. 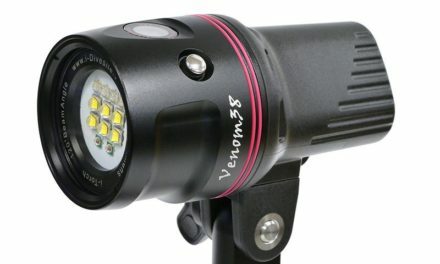 Water depth rated to 400 feet, this versatile light can go almost anywhere underwater that you take it. Below, we’ll take a look at using and maintaining the Liquid Image 5.5 watt dive torch. 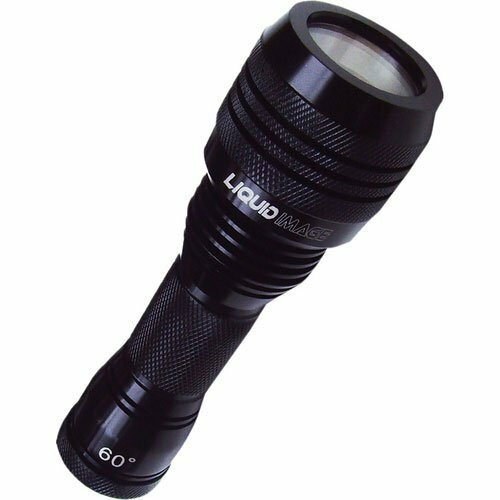 The Liquid Image 5.5 watt dive light works with a simple push-button mechanism. This push-button mechanism, unlike the commonly used twist-mechanism dive lights, simply activates the light when the button is pushed, allowing for more efficient and quicker lighting. 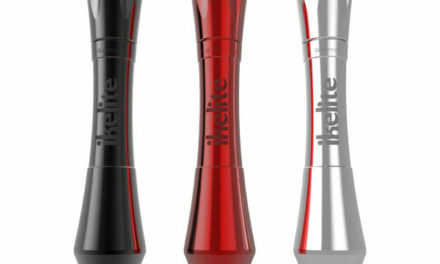 The light features an outboard rechargeable battery that allows the light to be charged with any USB cord. The battery is accessible through a turning latch at the bottom of the light. The included mounting brackets attach around the torch’s midsection so that you can attach it to various other types of equipment. The light features O-ring seals to better keep water from flooding the bulb and frame. If the O-rings were to become frayed or detached for some reason. it is suggested that they be replaced immediately to ensure no damage is done to the light. Check the O-rings frequently to make sure they’re in good condition. The corrosion-resistant frame protects the Liquid Image 5.5 dive light from water-induced damage even after hours of submersion, which keeps maintenance on the flashlight’s body at a minimum. 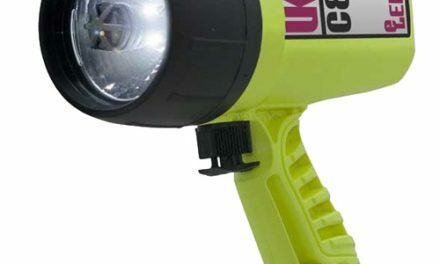 It is suggested to let the battery completely power down before attempting an initial charge so the voltage will remain consistent throughout the Liquid Image 5.5 Watt dive light’s years of use.